Posted October 29th, 2015 by Mobile Music School & filed under Music Lessons, Violin Lessons. 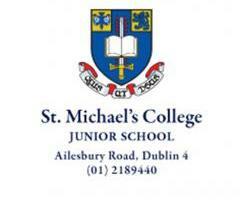 What a great start to our ‘Violin in the Classroom’ programme in St Michael’s Primary School this year! Since starting lessons on September 24th violin tutor, Rebecca Murphy, has seen great work from the students so far. Rebecca is teaching third class this year, which is split up into two groups for music lessons. First and foremost, the students began learning to correctly hold the violin. Before playing any songs, they focused on reading music and learning all about music notation. The students then started to play open string songs with backing tracks, using the music notation they had learned. With the help of Rebecca, the class had been working on plucking the D major scale before finishing up lessons for the mid-term break. It’s great to see our third class groups working so hard and improving their violin skills week on week.